Happy New Year from The Fit Union and Congratulations goes out to all of these Coaches who were the top 127 out of our Entire Team of 37,909 members for Recruiting new talent into our business! Congratulations to Dana Fotiades for a monster week with 7 coaches signed! 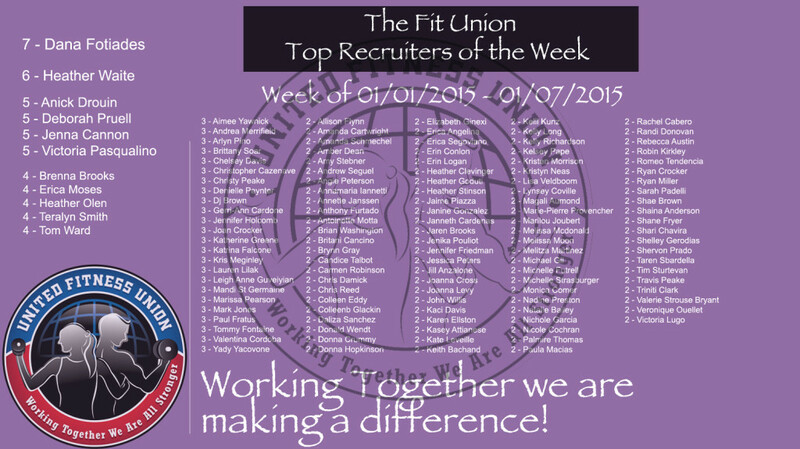 This week was close competition all around with 6 people who signed 5 or more coaches! Just imagine all of the lives all of you are changing here!